Children will have a ball each for the majority of the session and develop essential skills such as balance, co-ordination, social skills and much more in a fun environment. Tots FC has a speciﬁc programme of sessions which runs in line with the early years national curriculum. Not only will the boys and girl have lots of fun and make new friends but they will also develop in many other key areas. 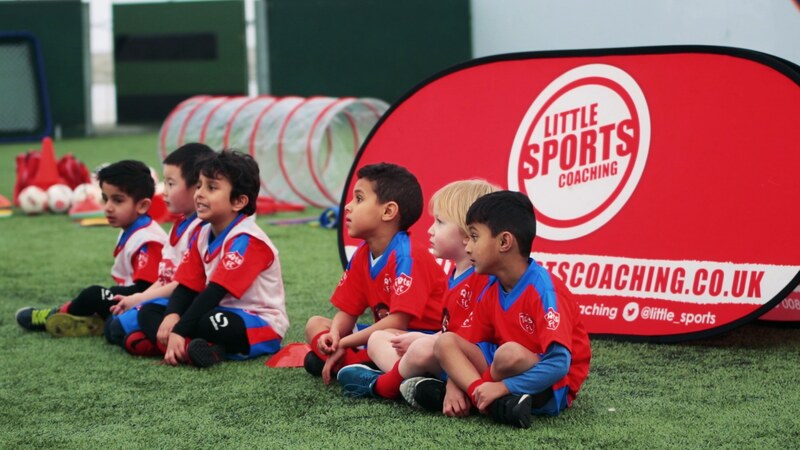 Tiny Tots is a great way to introduce your little ones to the exciting world of football. Children are introduced to the very basics of football such as dribbling, kicking, running etc in a play based yet structured environment, using child-friendly football equipment. Children will have a ball each for the majority of the session and will work within their ability level in a group environment. You…the ‘grown ups’ will assist the coach during the session meaning you can take great pride knowing you have done even more to support your child’s early education. We are often asked ‘how do you teach children that young how to play football?’ The answer is simple we don’t teach..we play!! Repetition through fun based play is the most effective way of child development, not just physical but social and cognitive development too. What will our coaches expect from the children? At times will be frustrated at lack of understanding of sessions. May struggle with balance and co-ordination. Introduced to different types of movement (running, jumping etc). Capable of basic, one paced kicking. Can maintain the stop position with support. Quickly learns to enjoy scoring goals. Our coaches are experts but we do not expect the children to be fully involved at first or at every session and so niether should you, we will work with you and your child to build confidence…dont forget….to a toddler this a big change, new environment, new people. It takes time to adapt and become comfortable! Mighty Tots are confident and full of energy, our curriculum reflects this with fast-paced and increasingly football focused games but fun is still the mould that holds it all together. Our Mighty Tots sessions finish with small sided football matches…which the kids love!! 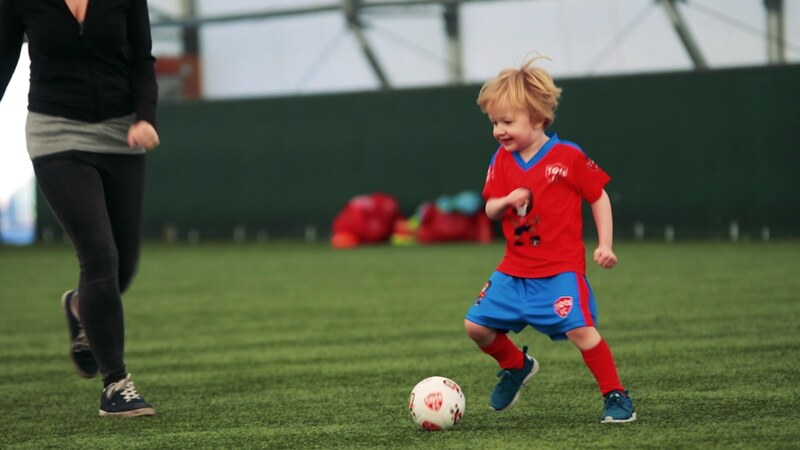 Our Mighty Tots classes use guided discovery with play and repetition to develop our young footballer’s fundamental skills and understanding of the beautiful game. At Mighty Tots children also learn how and when to select and apply skills they have previosuly learnt. Still using the themes from our Tiny Tots curriculum, the sessions link in with the National Curriculum and are all based around fun and story telling to keep them engaged and stimulate their imaginations. Develops good directional dribbling skills and strong kicking skills. Can stop a slow moving ball. Can start to volley / half volley. Will be able to hold the stop position and move the ball with their sole. Good peer interaction and participation in class. Develops a strong sense of identity within the group. Understands basic concepts of team play. Actively involved in creative play. Confident to play, think and visually assess during a game situation. Emphasis on warm up / cool down and stretching improves physical fitness. Children are aware of themselves in the environment. Basic ability to travel with the ball where they choose and how they choose. Older Mighty Tots who have been attending for a while are now preparing to play at our FC Academy sessions or in our junior football club, the sessions will reflect this and attributes such as discipline, concentration and following instructions will all be improved by our coaches.